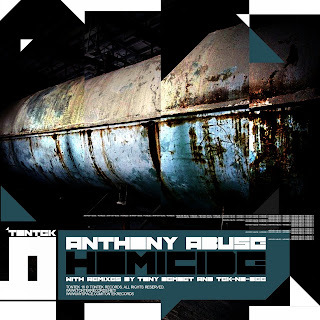 Anthony Abuse does it again with the TonTek Records release of the self titled EP "Homicide". This release features an original track by Anthony Abuse that breaks down and builds up in to a driving techno track. Also featured on this 3 track EP are remixes by Tony Demoet & Tek-No-Bee of TonTek Records. Be sure you check the whole thing for all the big tunes!